Moore College Principal Mark Thompson with his daughter, Anna, in Pakistan with Miracle Ministries team members. 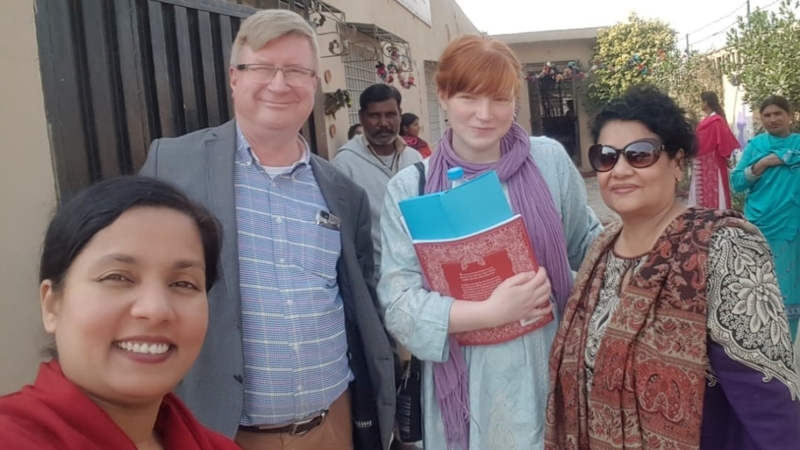 In early December, Moore College Principal, Dr Mark Thompson, visited Lahore in Pakistan. He was a guest of Miracle School Ministries, a ministry associated with Anglican Aid which seeks, among other things, to rescue families who are enslaved in the brick pits of Pakistan. In sweltering heat, young children are forced to make 1,000 bricks a day and their families receive the equivalent of $3 for the work. The conditions are appalling, the children are often victims of abuse, and families can see no way out of the cycle of poverty. It is well known that organised criminals run the brick pits. We would love to see pastors who know God’s word well serving God’s people well. In that context, Anglican Aid is at work funding a variety of activities through Miracle School Ministries. Fresh water tanks have been built, a school teaches children associated with one of the brick kilns and another operates in the city of Lahore itself. Sewing classes are provided for mothers, food rations are given out at Christmas, and some families have been delivered from slavery. The context in which all of this is done is the love of Christ demonstrated in the gospel. Those who come into contact with this ministry are in no doubt that these acts of love are expressions of Christian faith. Those who reach out to them, do so because they want to share Jesus and his love with them. In the midst of this desperate need there are Christian churches where there is a lack of good Bible teaching. 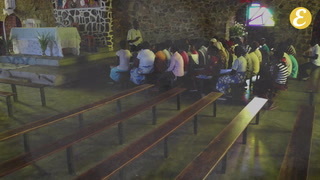 Many pastors receive little or no training. They work in the most trying conditions and they seek to point people to Jesus but they have few resources. They are vulnerable to some of the manipulative teachings that come from the West. Moore College’s PTC course, now online and soon available through a mobile phone app, is precisely what these pastors need. The course has been translated into a number of languages and work is continuing on more. The hope is that this invaluable resource might be put into the hands of those who need it most. Simon Gillham explains how the Advanced Diploma of Bible, Mission and Ministry is designed to equip people for ministries across cultures – from Moore College on Vimeo. Christian teaching and Christian compassion go hand in hand, and this is evident in Pakistan as in many other places in the world. We at Moore would like to expand our work in these needy areas. We would love to see pastors who know God’s word well serving God’s people well. Anglican Aid is working hard at providing various forms of assistance to ministries like that of Miracle School Ministries. Needy children and families are provided with fresh water, clothing, food and learning supplies. Mothers’ Union recently helped supply sewing machines to women who have been taught how to sew, and no longer need to work in the brick pits in order to provide for their families. Will you pray for this work? Are you able to help? You might contact Simon Gillham at the Centre for Global Mission (CGM) at Moore College about the PTC program, or Eddie Ozols at Anglican Aid about the support given to the work of Miracle School Ministries. Click here to learn more about how you can be equipped for mission through our Advanced Diploma.